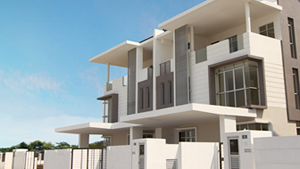 One of the highest priorities for many homeowners is to make their home as green and as energy efficient as possible. Although having a home in and of itself comes with a commitment to energy bills, that doesn’t mean they have to break the bank each month. There are many different ways to reduce your energy consumption and lower your carbon footprint like reducing waste, recycling, and finding alternate modes of transportation, one of the best ways to make your home greener and energy efficient is to install green siding. But what exactly does it mean to have “green” siding? Keep reading to learn more. When choosing your energy-efficient and green siding material, it’s not all about the material itself, but also about how long it will last. How many years will your siding last? How long can it go before it needs maintenance? Can it be recycled once it’s ready to be replaced? You should be sure to take into consideration thermal performance, the pros and cons of sustaining it, and whether or not it was made with recycled materials. R-Value is a measure of the efficiency of your home and its insulation materials. The higher the R-value, the better your home’s energy efficiency. It’s important to note, however, that depending on where you live in the United States, there are different recommended R-values depending on climate. Energy Star has a great visual representation of this. There are several things you can do to improve your home’s R-value. To prevent air leaks and water infiltration, adding a house wrap and rigid-foam insulation is a great option. This will protect the inside walls of your home and prevent problems like mold. A home with fiberglass insulation and 3-½ inch stud walls, for example, will have an R-value of around R-12. By simply adding a house wrap and rigid foam, the R-value will be more like R-16 or more leading to an energy savings of around five percent. Easy to apply, lightweight, and come in a variety of thicknesses and sizes, rigid foam sheathing is a great alternative to fiberglass sheathing. However, unlike fiberglass insulation which fits between studs, rigid foam sheathing covers the entire exterior wall. In terms of sustainability, expanded polystyrene (EPS) foam sheathing is considered environmentally friendly and doesn’t produce chlorofluorocarbons (CFCs) like extruded polystyrene (XPS) which can damage the ozone layer. The good news is that EPS can be recycled. House wrap is applied on the wall sheathing but under the siding. It’s a tough, thin, and semi-permeable material that will prevent water or air from entering while allowing vapor to pass through it. House wrap is both sustainable and energy efficient. It’s long lasting, durable, flexible, and recyclable. And, along with sealed windows and doors, it can improve air tightness and reduce your energy bill costs. 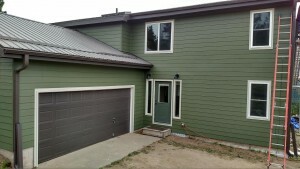 DJK Siding is your Top Rated Local® Siding Contractor in Colorado Springs and the Denver metro area. 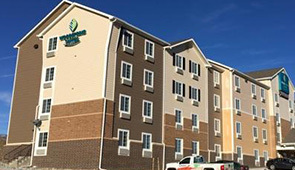 We are proud to provide each of our customers with high-quality commercial and residential siding materials and installation. However, before we begin, we want to ensure that we get you the exact product you need to maintain the energy efficiency of your home or commercial building. Give us a call today for a free project quote!